I hadn't seen a Marky Mark music video until I was doing "research" for an interview with Mark Wahlberg for his upcoming drama, The Gambler . And holy hell, let's just take a moment to luxuriate in the phenomenon that was the 5' 8" rapper: Absolutely yoked, bandana-clad, and boasting a skill set that includes curling cinder block weights and pinning women against chain-link fences. You can't unsee these kinds of things. So it's more than a little impressive that the "Good Vibrations" singer has transformed into an Oscar-norminated actor. And while his performance in 2006's The Departed was impressive, his take on Jim Bennett in The Gambler may be his best yet. Mark Wahlberg spoke to reporters at a Los Angeles roundtable for the film, where he brought his daughter, Ella, and requested: "please no swearing." I learned that Wahlberg lost more than 60 pounds (coming off of Transformers 4) for the role, on an all liquid diet that consisted of mainly almond milk. And that his favorite characters to play aren't necessarily morally upstanding. "I always wanted to push the envelope as much as possible," Wahlberg said. "We knew we weren't making a character that was necessarily likable, but we wanted him to be interesting enough and compelling enough — how brash he was and how unapologetic he was — that people would at least find it interesting to see what was going to happen, how it would turn out." The Gambler, a remake of the 1974 film with the same name, follows Jim Bennett, an English professor with a penchant for high-stakes gambling. Growing up in a shallow family with an excess of wealth, Bennett wants to rid himself of his past and pits his own life against a game of cards. "He chose gambling as the tool to strip himself of all those things in his life that were holding him back from finding out who he was and what he was supposed to be doing in his life," Wahlberg reveals. But Jim Bennett is a terribly unlikable character. He ruins relationships with those closest to him, threatens students, borrows money only to throw it away, and is terribly cruel to his mother (Jessica Lange). For most of the film, he's on what appears to be a suicide mission. But Wahlberg, who makes it a priority to be an upstanding example to his own children, doesn't see the harm in rooting for the bad guy. "I like him. But don't judge me for that," Wahlberg said. "For me, the best part of a great movie is a great villain, and I usually have a tendency to root for the bad guy. I always like the characters that I play. I'm convinced that I am this person and I'm OK with whatever they do." 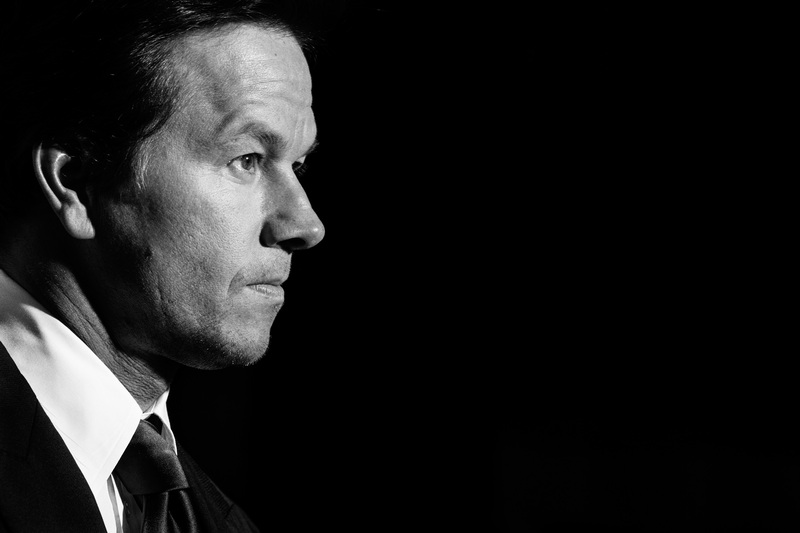 Wahlberg credits some of his acting ability to "street smarts", something he has a bounty of thanks to dropping out of school at an early age. While a career as Marky Mark came before acting, his young life in the Wahlberg family was full of aspiring talents. "It was always entertaining, but our idea of entertaining might be different than other people's — gang fights, free for alls, those kinds of things," Wahlberg jokes of his childhood. "We loved eachother and we supported one another. My mom was always a bit of a showman. My dad loved the cinema. It was in our blood, but it wasn't something that seemed possible because of the environment I was raised in," he said, adding: "I didn't know what to expect (of acting) but I knew that the possibilities were endless. After making my first movie I knew this was what I wanted to do." And though we are eternally grateful for Marky Mark's existence in the '90s musical landscape, it is Mark Wahlberg, the Oscar-nominated actor who will leave a mark on cinematic history with performances like Jim Bennett in The Gambler. The Gambler hits theatres December 19.